You must be a member of the Brno Trips & More Group to attend this activity. Would you like to join this group? 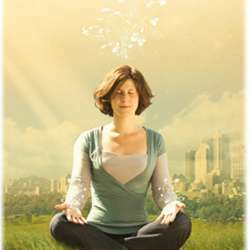 There will be free meditation activity on Thursday from 18:30 o’clock provided by organizer Eva Přichystalova. You are all welcome! In reality, meditation is a state of thoughtless awareness. It is not an act of doing - it is a state of awareness. We either are in this state or we are not, regardless what we are doing in life. Truly, a man can be in meditation while doing his day's labour as another man can be very far from meditation while sitting in a lotus posture on the top of a mountain. How do we do it? Join the meditation sessions and you will learn how to achieve this state based on the awakening of our inner maternal power, Kundalini. The event is free of charge as well and any voluntary donations will be used running the meditation center.